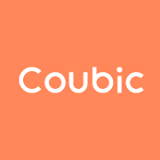 How to create a site on Coubic – Coubic Inc.
You can register as merchant on Coubic and create your business site by entering three info: Your URL address on Coubic, Email, and password. You can edit your site to appeal to your customers. You can post reservation page and photo/text to your site. When you are posting reservation page for customers to make requests, you can either choose 'Event Type' which customers will choose appointments from given timeslots based on the total slots you allot or 'Communication Type' which customers will first propose their preferred date/time which service provider has to confirm before the reservation. Other than reservation page, you can casually post your updates using photos and texts only.